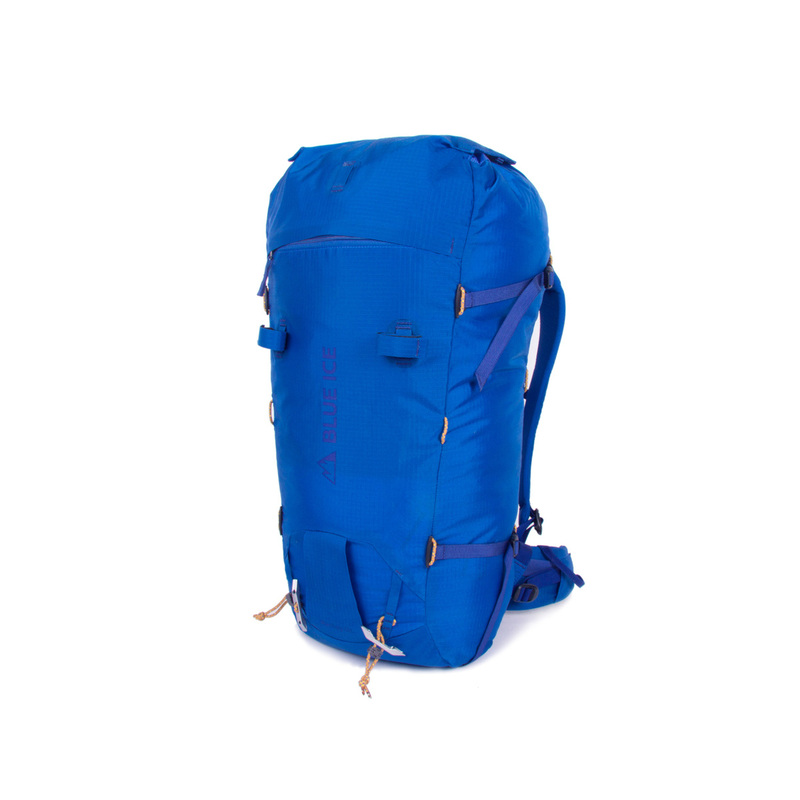 The Blue Ice Warthog 45L pack is the larger version of this extremely tough and durable backpack designed for carrying mountain equipment, ropes, crampons, helmet, waterproofs, down jacket, food, bivouac in the harshest mountain environments. It has been the choice of mountain guides for almost a decade. Robustness is an essential feature when working amongst rocks, snow and ice every day. The Warthog 45 L pack has room for everything and will not let you down even in intensive daily use. Minimalist, it only has the essential features you need in a backpack. The Warthog was designed to defy the harshest conditions on earth, no wonder that it is favoured by many mountain guides around the world. As robust, light and comfortable as it is, you'll hardly notice it during the day, no matter how exhausting. Try it yourself and you will be amazed.